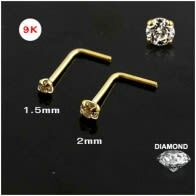 We bring to you exclusive nose pins of authentic 9K diamond. Inventive and trendy designs combined with beautiful craftsmanship is sure to excite you. 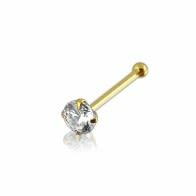 Our list of nose pins include twist and screw nose pins, nose studs and bones and fishtail. There is a nose pin to suit each need and budget. 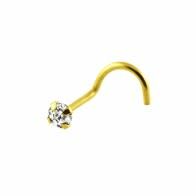 Take a tour with our gold body jewelry collection, where, you will surely get amazed with a wide variety of gold nose pins available in 9k gold nose pins and 9k diamond nose pins.